If you stand still too long at work this time of year you will be wrapped in white lights. It is cold and flu season and I think this weather is contributing to this. One day it is 50 degrees and then the next is 30. It has rained and wind has swirled. Keep up with the Vitamin C and stay healthy. Happy birthday to all who celebrated their day this past week. Big balloons go out to Hannah Tate-Arena who celebrated Dec. 2; Sarah Ribeiro, and Emmett Sylva, Dec. 3; Katherine Conover, Dec. 5; James Thornton, Dec. 6; and to Danielle Meyer who celebrates her day Friday, Dec. 7. Special wishes go out to Lucas Cavallo who celebrated his special day Dec. 6. I get names into my head and that is the name I call a person no matter how hard I try to say it right. Well, that happened in my last column when I noted Owen Weagle: his real name is Otis. I know that as well as my own name but Owen keeps coming out. So my apologies to Otis and his parents, Dave and Linley. Town is transforming into the quaint little village it is. The lights are up and Cannonball Park is shining bright thanks to Bob Hagerty and his men, Tom Bassett and Danny and Dennis Kaeka put up the trees and wrapped the light poles with the lanterns and the business owners have been busy decorating their storefronts. The mini-park and the Yellow House are all decorated and everything is ready for this weekend’s events. Be sure to check the paper for activities as there are many. As I have said so many times: if you stand still too long at work this time of year you will be wrapped in white lights. It is no different this year and I think every year it is one step better. 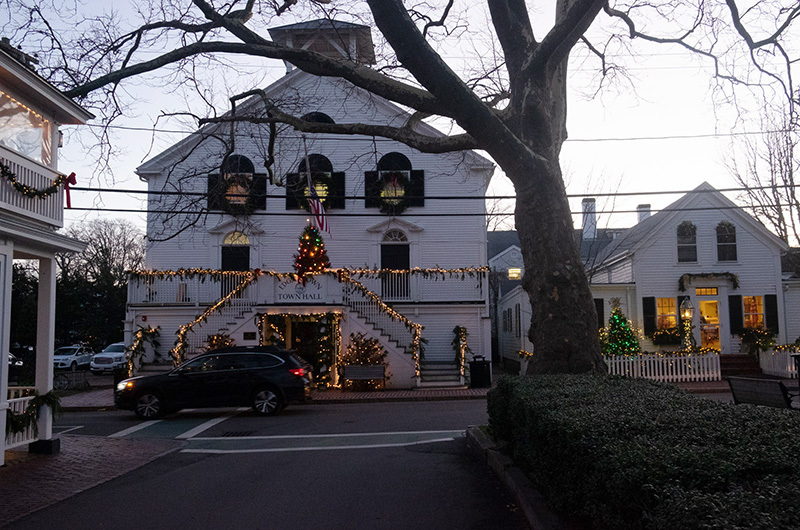 The outside is glowing and the inside is preparing for the Twelve Days of Christmas. It will be a grand weekend and I hope you all can stop by and visit. Enjoy your weekend and I know many of you are shopping and doing your own decorating and even cooking.